When you first meet people, what do you notice? Their smiles? We tend to make positive assumptions about people with a white, attractive smile – they seem healthy, intelligent, successful, and friendly. Dr. Drew Vanderbrook knows that image doesn’t define a person’s true worth, but if you want to make a great first impression, dental care should be important in your life. In addition to appearance, a healthy mouth will support good overall health. Consider that your mouth is the passageway to your body, and you begin to understand the significant impact that good – or poor – oral health can have on your life. We’re here to give you a winning smile. 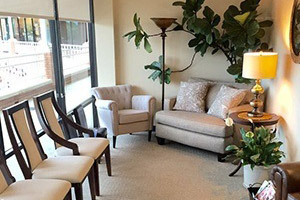 In our modern dental office, patients of all ages feel welcome, safe, and comfortable. Our team wants to help you enjoy a beautiful smile that can last a lifetime! 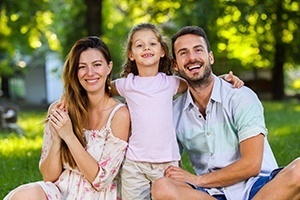 We’ll work with you to design a plan for your family’s optimal oral health, beginning with comprehensive dental visits and restorative care before moving on to continual maintenance at home and in our office. Every person’s oral healthcare needs are different, and you deserve to visit a dental practice that focuses on meeting those needs above all else instead of looking for unnecessary ways to lengthen your final bill. Dr. Vanderbrook works closely with patients to devise the ideal treatment plan that will help them achieve their desired smile goals – nothing more, nothing less. From the front desk to the operatory, patients and families will be interacting closely with our dedicated staff members. 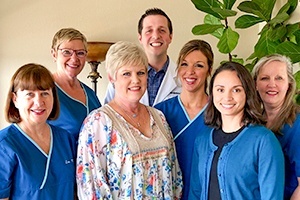 Everyone at Vanderbrook Family Dentistry works hard to make this experience as enjoyable as possible, and their time-tested experience and knowledge will be sure to put your mind at ease. They can’t wait to get to know you! 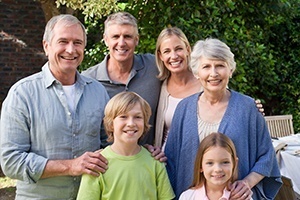 Running all over town to multiple dental offices can really take away from a family’s quality time with each other. Instead, why not trust all of your loved ones’ smiles in the hands of one capable dental practice? Dr. Vanderbrook is great with every age, from young children who are attending their first appointment to grandparents in need of reliable tooth replacement solutions. Explore our website to learn about state-of-the-art dental care and how oral health affects overall health before calling our office to reserve your personal consultation. Dr. Vanderbrook invests time in learning about your dental and health concerns. He then works with you to develop a practical plan for lifelong oral health.